We should have known really. It was absolutely in keeping with the season. With the title race. And with Lewis Hamilton. Following the much-documented momentum against him in recent weeks, in qualifying for the Malaysian Grand Prix today he hit back today in the most devastating style, showing the astonishing pace and joie de vivre that he delivers at his best. His team mate and title antagonist Nico Rosberg was left rather breathless, and was reminded not for the first time that no matter the purple patch Lewis has reserves - accessed when all is right with the world for him - that Nico can't live with probably. If it's any sort of comfort almost no one else can either. This is a title race full of twists and turns. And this was the latest. This twist felt like one of the knife though. Sepang is the happiest of hunting grounds for Lewis, especially on a Saturday. No one in the same car has bettered him in qualifying here for six years, and that was a crazy rainstorm-jumbled session. And he never looked like being beaten today by anyone in the same car or not. He was quickest for much of practice, and it remained that way in each part of qualifying. Cruising on the medium tyre in Q1 Lewis only pipped his stable mate, but then the full extent of his advantage became obvious. In Q2 his 1m 33.046 was upwards of half a second quicker than Nico's time, then in the final part Lewis stunned with a 1m 32.850 in his first effort. Some even had it down as a track record, which it was for the final part of qualifying at least (though Fernando Alonso in 2005 beat it in the first part of that qualifying session). Already it looked over, and indeed it was. He then showed about his only sign of fallibility of the day with a big lock up into the first turn of his final run, forcing him to abandon. Not that, for pole at least, it mattered. "Today the car felt fantastic. I really enjoyed the lap" Lewis said afterwards with radiating glee. And not missing an opportunity to needle his foe, he noted that given his last go was binned his pole effort "coulda been faster!" With the twist, came the shout. Rosberg was off Lewis's pace anyway, but it got worse for him as a wobble at turn 6 contributed to him being but in fifth place after the opening Q3 runs and the thick end of a second off Lewis's reverberating time. He at least saved it on his final run - just. Second place for tomorrow's grid was salvaged, even with Max Verstappen nipping at his heels and another wobble from him at the final turn. He remained over four tenths off Lewis's mark. "Lewis's lap was very quick so it was always going to be difficult," Nico noted. "I would have come close but unfortunately I had a mistake in the last corner. Something just wasn't going right there in that last corner, I just couldn't get the settings right, I always got a big oversteer moment in there..."
As we say just about every time though, looking to the race that's not the end of that. The Mercs' starts have been variable this campaign (Lewis's especially) and if they do get into turbulent air behind other cars they appear to lose much of their edge. You can add that the run to turn one here is one of the longest on the itinerary, and that even if you get there without metaphorical damage you may pick up some of the literal stuff in the torturous and snaking turn 1 and 2 complex. 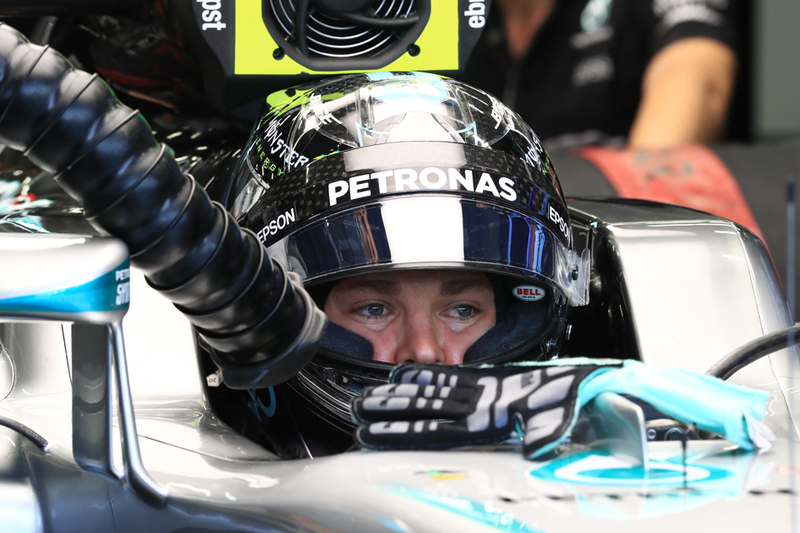 Rosberg probably had all this in mind when he pointed out afterwards that "as we know from this year, second place does not mean that victory is not possible tomorrow. We've seen that so many times. Still very optimistic for tomorrow." As noted too the Red Bulls, and particularly Verstappen's, look close. The young Dutchman's best was only a tenth and half off Nico's and he has his team mate Daniel Ricciardo backing him up close behind in P4. 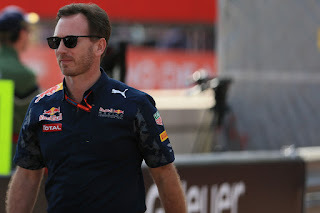 All at the team, including boss Christian Horner, seemed surprised by the single lap pace that they found this time, and to get ahead of the Ferraris. Some teams think they can do a soft-soft-hard strategy tomorrow but, just like last year, Merc used the softest tyre immediately in Malaysia's qualifying today which could have signposted a plan to use harder tyres in the main in the race. That, then, proved the teams's undoing, when others stole a march on softer rubber. When, just like now, we ended qualifying assuming Merc had the place to themselves. Ferrari - under pressure of elimination - did use a set of softs eventually in Q1 this time but Red Bull didn't, meaning it has more strategy options. Add to this that with the track resurfacing and re-profiling of a few corners, plus with the soft compound available and being started on, creates a real sense of the unknown this time. Add too that Lewis may have trashed a set of softs as mentioned. Horner expects variable fare. "Let's see" he said. "It's going to be an interesting Grand Prix tactically, with what tyres people put on at the first stop. It's been cooler today, but it will be warmer tomorrow. It's [about] trying to find that balance. "That's why we did a race run around the race start time with Daniel in FP3, so we got some interesting data from that. The tyres we have are pretty similar, so it will be interesting to see what people do at the first stop." Plus in race simulation runs on Friday there was almost nothing between the Merc, Ferrari and Red Bull. As the sage Mark Hughes noted before qualifying even started: "Verstappen absolutely flying. Merc should still lock out front row but if he can qualify row 2, get among them on lap 1, it's game on." And Max sounded similarly positive after quali. "I think the whole weekend has been quite positive for me" he said. "We definitely made some changes after Singapore and it seems to work. Long run pace looked promising, short run yesterday we needed to improve and I think we found a good setup with that today. 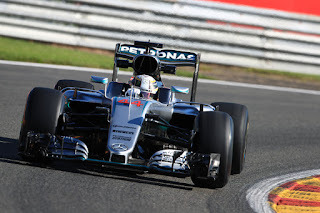 I was very pleased to qualify behind the Mercedes cars." As for the Ferraris, they fill the third row, pipped by the Bulls as mentioned, and again it felt rather like a case in 2016 of a promising weekend rather tapering off for the Scuderia when it really mattered in qualifying. "Obviously we expected [to qualify] one row higher up, P3, right behind Mercedes," admitted Sebastian Vettel later, who lines up tomorrow as the first of the Scuderia pair. 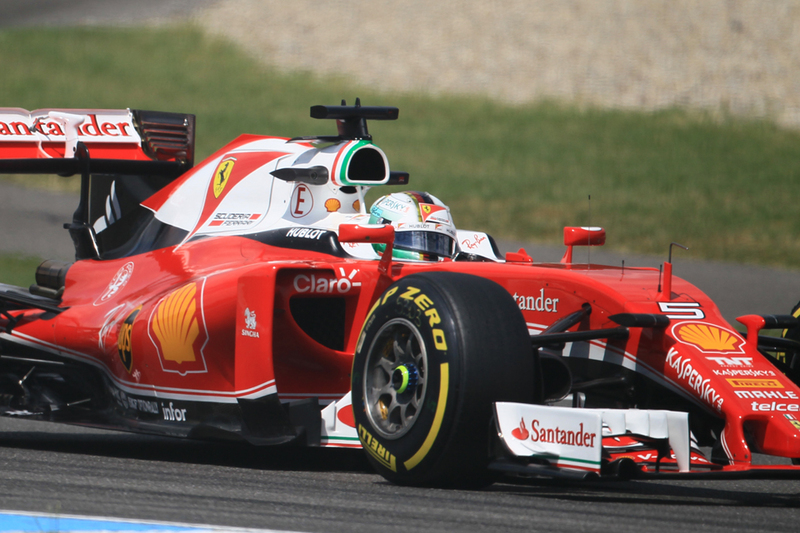 Kimi Raikkonen appeared slightly the quicker but abandoned his own final run. Vettel though looked ahead with more optimism. 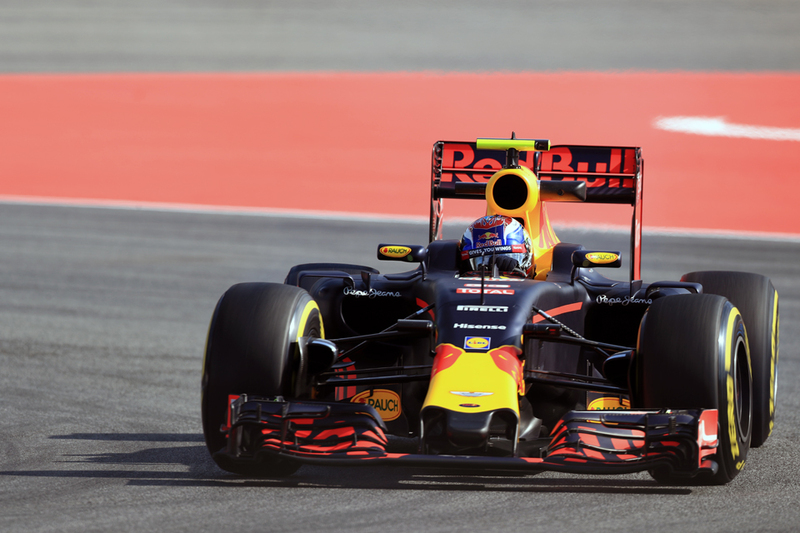 "Nevertheless, for tomorrow I think we should have good speed in the race," he went on. "Strategy will be important...Then it's Malaysia, there could always be some rain. It's usually quite hot, which we don't mind." His mention of the temperature indicates that he expects that the warmer race - taking place earlier in the day - will suit the red cars. Ricciardo was not counting them out either. "Ferrari are normally pretty good on their tyres, so I think we've got a race on our hands" he noted. 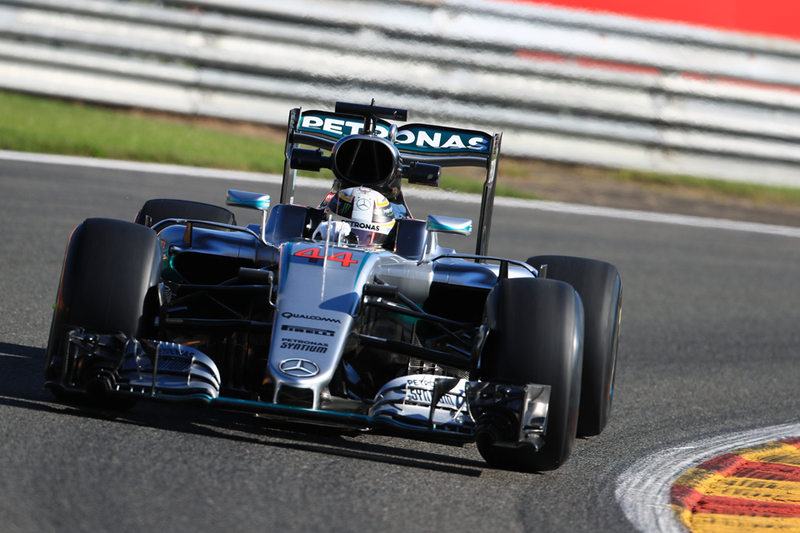 Hamilton too seemed wary of the Red Bull and Ferrari threat. "I think they're going to be quick, they've been very quick all weekend" he said. But he added a warning too. "I think there's more time [for us] there. I think tomorrow, provided the conditions are like this, the track's generally...better. It's a lot smoother and seems to work better with the tyres than it has in recent years. It will be a close race for sure because I think they had very good long runs. "But I think we were looking quite strong also." Quite.